SEEDLINGS is a nature-immersive, farm and forest-based homeschool enrichment program for children 6 through 9 years old at Tangerini's Spring Street Farm, 139 Spring St., Millis, MA. This program is designed to give young homeschoolers a community in which to grow, learn and explore on the farm and in the forest and has been designed to foster authentic, wholistic, foundational learning through play-based, place-based, child-led and adult-facilitated activities. Our philosophy is inspired by a variety of child-led, nature-based learning philosophies but with a unique emphasis on farm and farming as the catalyst for directed learning activities (soil, compost, pollinators, irrigation, seeds, plants, the water cycle, weather, farm equipment, food, nutrition, animal care, raising animals for food, etc). Each day begins and ends with a rhythm and routine providing opportunities for the children to connect with each other, their teachers, and the natural rhythms of the day and the seasons. experiencing all that the farm and forest have to offer. At Seedlings we support the children in their quest for mastery in all areas of development and leverage the abundant opportunities on the farm for building a deep understanding and expertise about this place they spend their days. The Seedlings have regular farm chores, opportunities to cook with Chef Linda, and work on place-based science experiments/engineering/math activities and projects, creating with loose parts, with plenty of time for free play, exploration, singing, art and music. There is also an opportunity to participate in chores, our mid-day meal and play together with the younger children (Sprouts) during part of each day. Each year the Homeschool Enrichment program also includes an over-arching theme - for 2017-18 the theme will be Birds. Each child will be selecting a bird that lives in or around the farm, yurt yard, marsh or pond (it can be a migratory bird that does not live there all year round) and delve into birds on many different levels of understanding and exploration; art projects, nests, books etc. Our Mission at Grow, Bloom & Thrive is to provide high-quality, nature immersive early childhood (3-9) learning environment that recognizes the unfolding of the whole being through child-led and adult-facilitated farm and nature-related activities, nurtures the natural inquisitiveness to learn that each child is born with and supports children as they develop and explore their sense of belonging and relationship to the earth and those around them. Support the rhythm and needs of each child. Build a strong developmental foundation for a lifelong love of learning and a successful, gentle transition from home to school or homeschool arrangements. Explore and learn in and with nature through observation, interaction, experimentation and inquiry, also knows as place-based learning. Support healthy physical development; build strength, balance, motor skills and physical confidence. Nurture imagination, integration of learning and creative problem solving through storytelling, conversation and self-directed play. Model compassion, service to others, cooperation and compromise in a conscious community of caring and learning. Provide a setting rich in opportunities to observe and participate in domestic, practical and artistic activities that evolve naturally in our home-like, nature-immersive environment. Immerse children in the understanding of where their food comes from; picking, preparing and enjoying farm fresh foods, composting to feed the soil that grows their food, and respecting the land and farmers that feed us. Model and guide mastery of self-care. Support children's need to assess and experience risk which enables them to develop good decision-making, judgement, persistence, resilience and self-confidence. Class size is limited to 6 children. Student/teacher ratio is 6:1. Children 6 through 9 years old. Registration is complete and your child's spot is secured once we have received a completed enrollment form and non-refundable enrollment fee of $100. Please make checks payable to Grow, Bloom & Thrive. A visit is required before enrolling your child in Seedlings. Outdoor programs are not for everyone and we believe that it is important that both you and your child are able to observe and participate in a typical day with us in order to make the decision whether or not to choose Seedlings for your family. Visits are scheduled on Tuesdays between mid-October and the end of April. Call us at (508)259-1761 to schedule a visit. 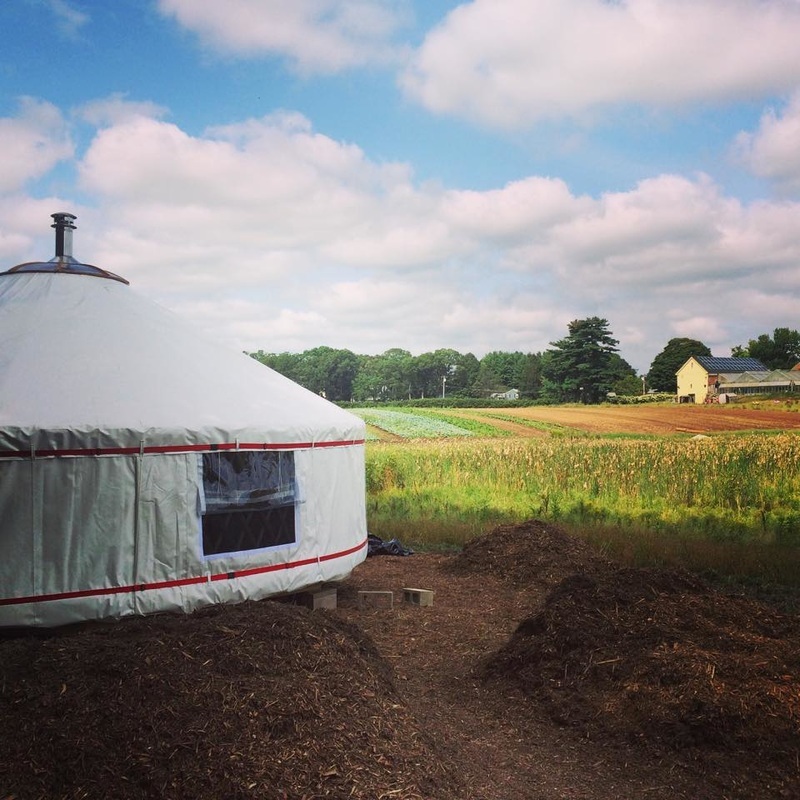 The yurt - our heated indoor space for shelter when the weather becomes un-fun:). 8:45 a.m. Drop off. Parents/caregivers drop off children in the greenhouse. Children check in with teachers and put their tag on the attendance board. 9:00 Morning Meeting: welcome, sharing, discuss the plan for the day and requests for activities/projects for the week. 9:15 Farm Chores- vary by season and activity on the farm. Farm and forest-based projects and adventures; Trail Snack: Nuts, fruit/water break/mindfulness break - tuning into our senses. 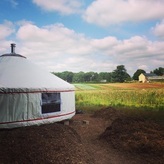 11:00 Free-Play in the yurt yard and/or forest: child-led play and exploration with a variety of nature/place-based activities and projects offered (open-ended, seasonal art/invention projects, fort building/tools, animal tracking, etc.) guided by current interests that arise throughout the day and week with immersion in nature. An opportunity for the community to come together and for Seedlings (olders) to work and play with the Sprouts (youngers). 11:30 Preparing for our Mid-morning Snack: help with meal and yard chores: preparing veggies/food, setting the table, cleaning up the yard, washing up for snack. 11:45 Healthy Snack/Mindful Meal; A healthy snack from home accompanied by sides served family-style utilizing ingredients that are available from the farm. 12:15 Clean up - Chores: Wipe table, wash dishes, bring compost out. Gather belongings and help others so we leave our space clean and neat. 12:30 Hike back to the greenhouse from the yurt for 12:45 pick up. Grow, Bloom & Thrive, LLC/SPROUTS: Farm and Forest Kindergarten/SEEDLINGS Homeschool Enrichment Program will not discriminate in providing services to children and their families on the basis of race, religion, cultural heritage, political beliefs, national origin, marital status, sexual orientation, disability or toilet training status.